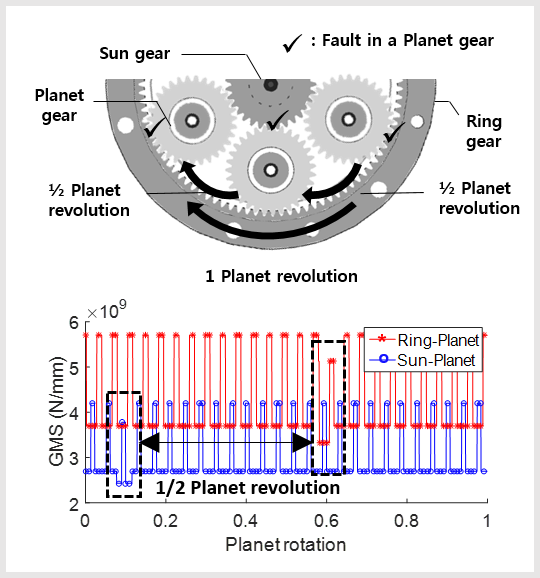 - A dynamic model of a planetary gear is constructed based on time-varying gear mesh stiffness. - A fault is injected in the planet gear considering phase differences of the planetary gear. 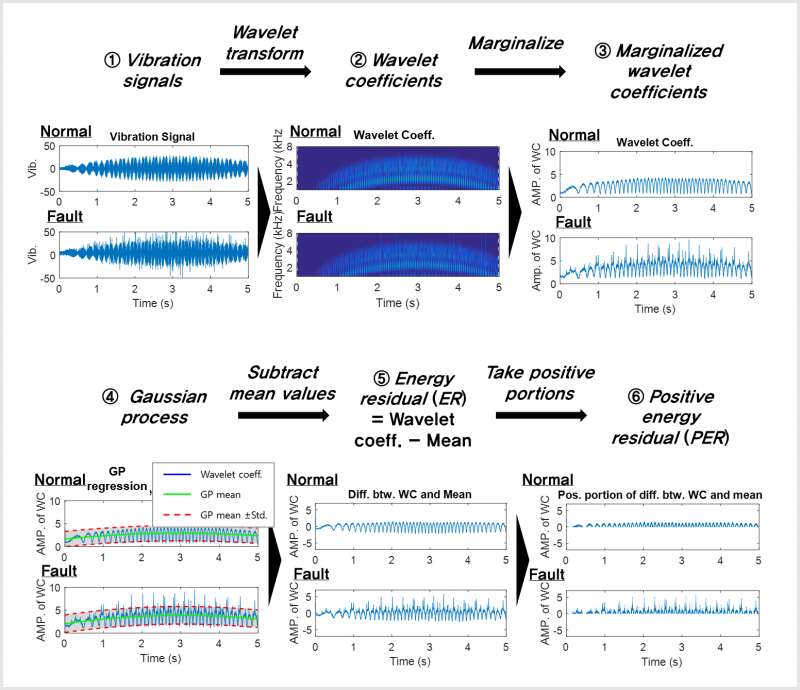 - Signal processing is performed based on dynamic characteristics of transmission error (TE). - This research is published in IEEE Transactions on Reliability. 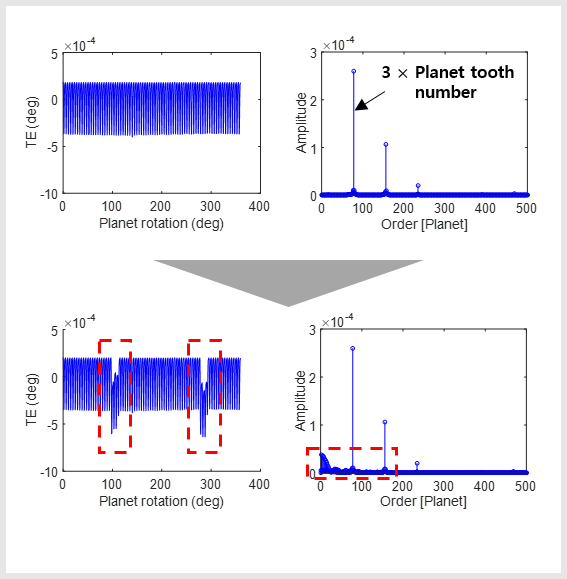 - A Positive energy residual (PER) method is proposed to detect faults of a planetary gear under variable speed conditions using wavelet transform and a Gaussian process. 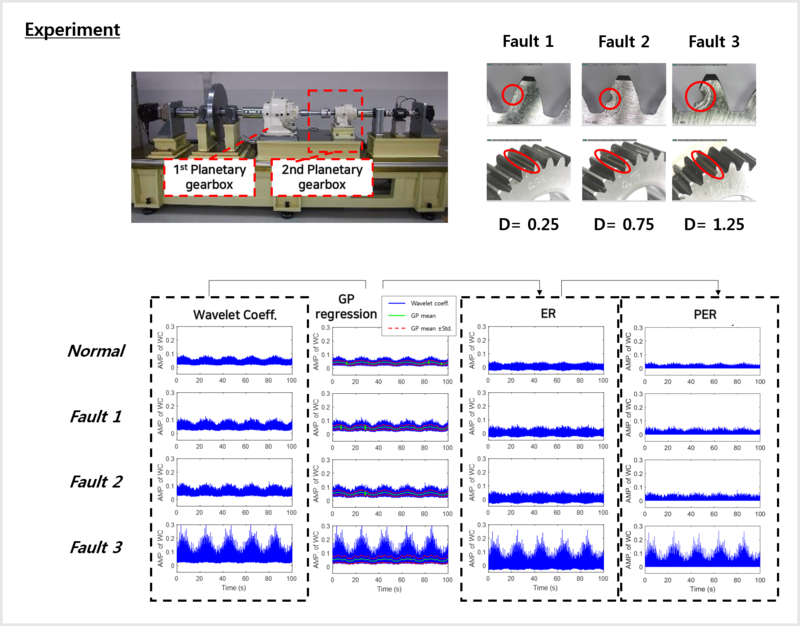 - The PER method is validated using modulated vibration signals that simulated planetary gearbox. 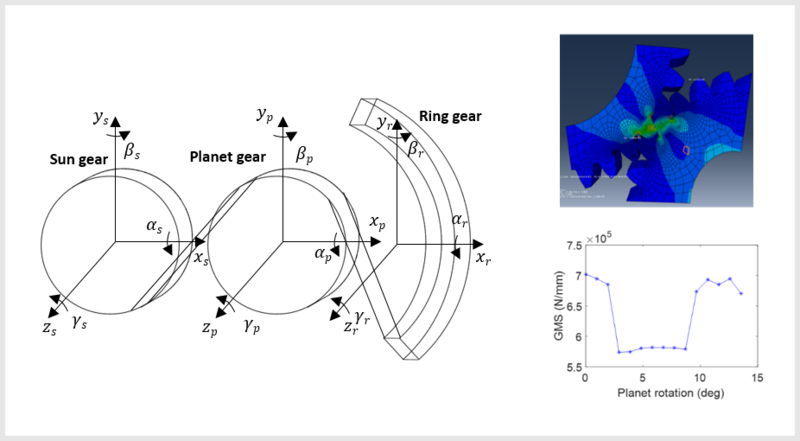 - The method is also validated using vibration signals measured from planetary gear test-bed. 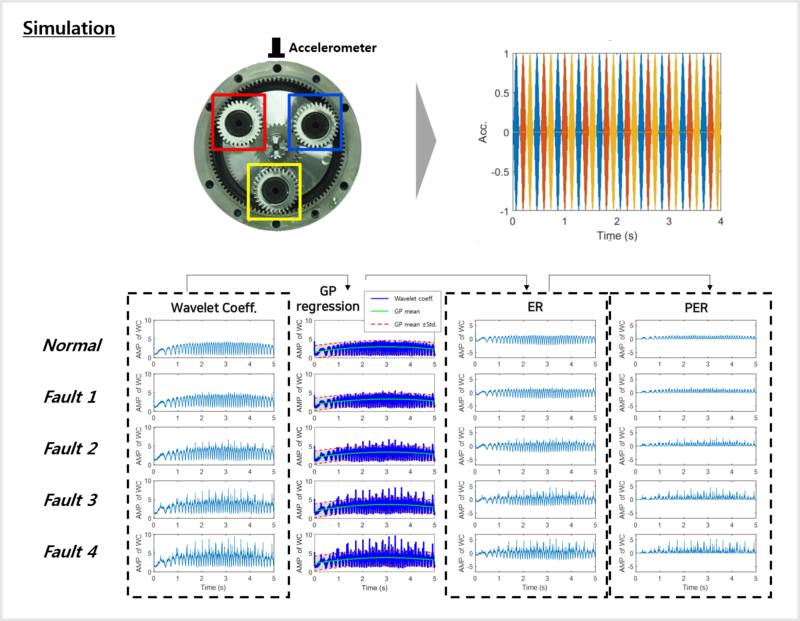 - This research is published in Mechanical Systems and Signal Processing. 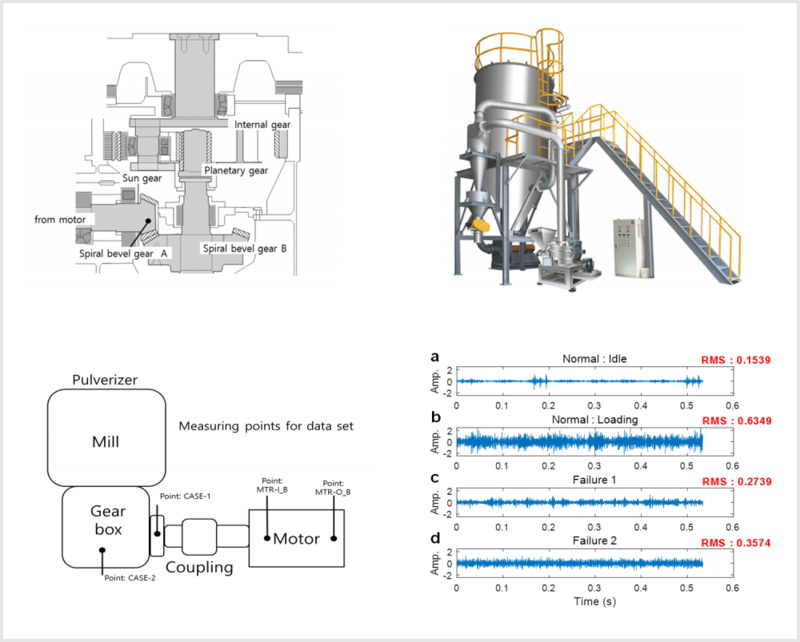 - A failure prediction method is proposed for a motor-driven gearbox under external noises and disturbance. - A cepstrum technique is used for extracting fault-relevant features, which is robust to external noises and disturbances. 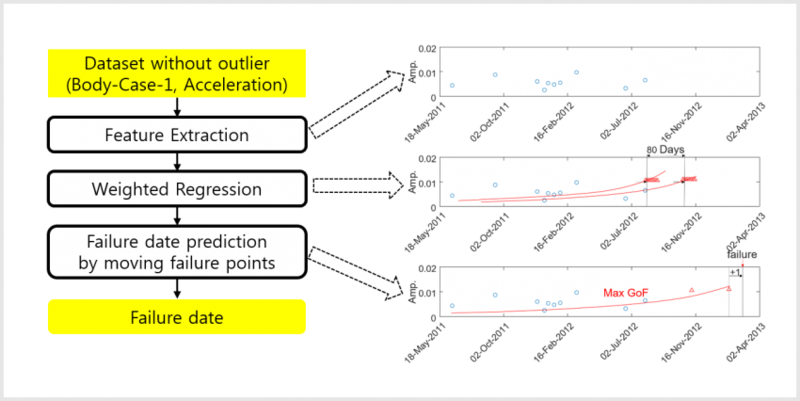 - A weighted regression method is used to compensate for the lack of failure data. - This research is published in Smart Structures and Systems. 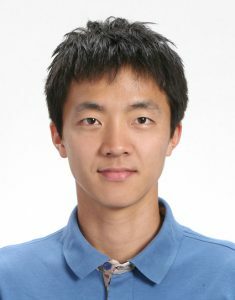 Copyright © 2019 Jungho Park. All Rights Reserved.